Global Warming Hysteria: We Knew Arctic Cold Would be Caused by Global Warming! This is becoming a parody. I noted here recently that ten years ago, an East Anglia climate scientist and others warned that that because of global warming, “within a few years” there would be NO SNOW IN ENGLAND! Poor UK kids would soon only know virtual snow. Scientists have established a link between the cold, snowy winters in Britain and melting sea ice in the Arctic and have warned that long periods of freezing weather are likely to become more frequent in years to come. An analysis of the ice-free regions of the Arctic Ocean has found that the higher temperatures there caused by global warming, which have melted the sea ice in the summer months, have paradoxically increased the chances of colder winters in Britain and the rest of northern Europe. The findings are being assessed by British climate scientists, who have been asked by ministers for advice on whether the past two cold winters are part of a wider pattern of climate change that will cause further damaging disruption to the nation’s creaking transport infrastructure. Weather changes supposedly to be caused by global warming and computer models have proved continually wrong–and still government leaders go to them for a tarot card reading. 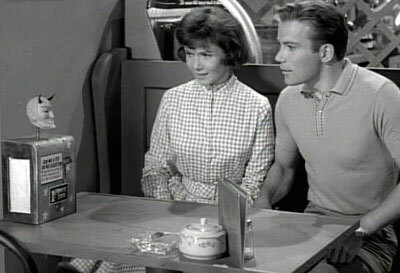 I am reminded of a great old Twilight Zone, in which a newlywed couple (a very young William Shatner played the husband) were afraid to leave town because of what a fortune telling machine kept telling them. No matter what the question or circumstance, somehow disaster portended. But this is what most people see: If it’s an arctic freeze, it’s global warming. If it’s unseasonably mild, it’s global warming. If it rains harder than normal, why that is exactly what we would expect with global warming! Drought? Ditto. Heat wave–well of course, the earth is warming! Neither rain, nor snow, nor hail, nor sleet, nor baking sun, nor hurricanes, nor lack of hurricanes–or for that matter, any unusual weather pattern or condition–can stop some some global warming scientists from blaming global warming. Whatever it is. Wherever it is. Whenever it is.